In this tutorial you are going to create a simple RadPageView by using the NavigationView. 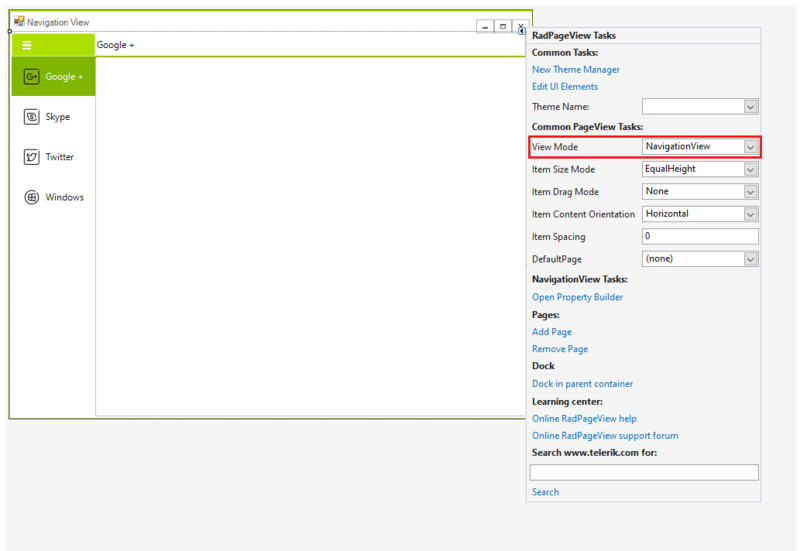 Create a new WinForms application using the standard template and drag RadPageView on your form. 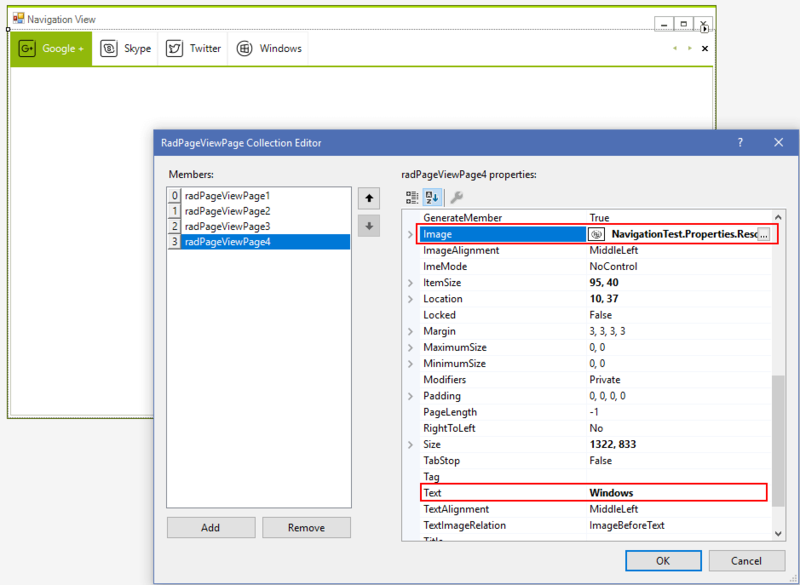 Set its Dock property to Fill and add some pages by selecting the pages collection in the Properties window. Once this is done you are ready to change the view. Open the smart tag and change the view to NavigationView. Change the ViewMode to Expanded as well. 4.The final step concerns the process of adding some content in the content areas of the pages. 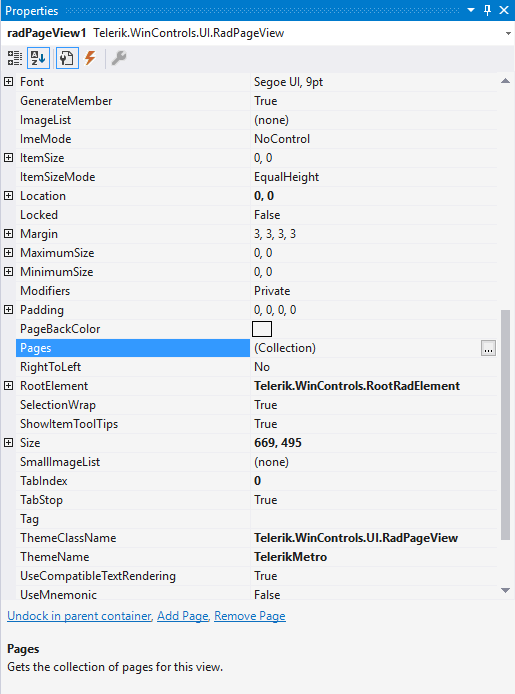 To do so, again from the drop down list of the Visual Studio Property Window, select each of the created RadPageViewPages and drag the appropriate controls in the content area of the currently selected page.